Many of us go through life carrying a lot of unwanted baggage. And boy are they heavy! 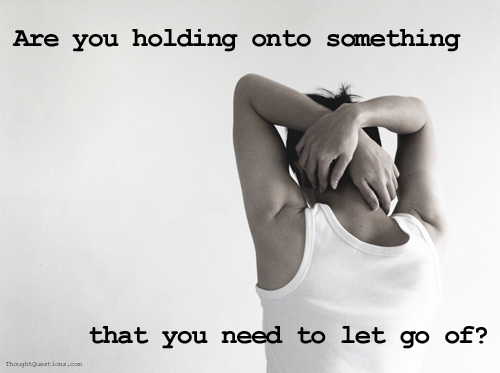 It is important to understand what to hold on to and what to let go. When you let go of one unwanted thing you create space for something wholesome to come in. Here is a list of but 12 things that you need to let go of. If you keep them on board your ship is bound to sink! Let go of postponing your happiness. If you keep postponing your happiness to some time in the future when you will have achieved something big, you are in for a rude shock. When I was at school I thought I would be happy once I finished school. When I finished school I thought I would be happy once I got a job. I got a job but I was not happy still. I always felt like there was ‘just one more thing’ to achieve before I could be happy. One day I realized that being happy has nothing to do with what you have achieved in life. Happiness is a decision. You must decide that you are going to be happy regardless of what does or doesn’t happen. It is one of those lessons of life I learnt the hard way. The past is gone. Let it go. If you must look back, it should be in order to learn. The past should only be a reference point, not a limiting factor. Let go of wanting things ‘here and now’. Patience is a virtue. Many people could have been doctors but they thought seven years was too long a time to wait. For many of us even planting a fruit tree is too much to ask. We want the ready fruit ‘here and now’. You need to develop the discipline to WAIT for your tree of success to grow to maturity and give you the best fruit. But it’s not all about waiting. You need to tend it; water it, dig a hedge around it, prune it, fertilize it and all. Let go of trying to impress everyone. Your only obligation is to be true to yourself and to God. Mark this, if God is happy with you then all is well. Let go of your fears and worries. There is nothing to fear apart from fear itself. You know, it takes more energy to worry than to pray and to plan combined! Stop worrying. Start praying. Let go of thinking that you are not good enough. You are fearfully and wonderfully made. God made no junk. You are not inferior, only different. Let go of always ‘wanting to prove a point’. Everyone knows how good you are, just don’t rub it in people’s faces. How do you like listening to someone who is always talking about how good or brilliant they are? Not very much, I guess. Let it go. Let go of self destructive habits. Deep down your heart you know what the right thing to do is. Why should you be your worst enemy? Let it go. You are the one who keeps getting in your way because of your need for security. You are so caught up in your comfort zone. Get up and take a risk. The greatest risk in life is taking no risk at all. Let go of trying to be like everyone else. You were meant to be unique, to be different. Embrace your uniqueness. Let go of ‘friends’ who drag you down. There is a reason you were born without friends. All the friends you have are those you allowed in your life. If they do not add value to your life let them go. Let go of letting go too soon. Many people have their failures written on their first attempt. Success in life requires tenacity and perseverance. You cannot afford to be giving up each time you face a hurdle. Stay in there. How many times did Thomas Edison ‘fail’? No one said it was going to be easy. It only has to be worthy the effort and time. You only have one pair of hands. You can only hold so much. Let go of all that unwanted baggage before your ship begins to sink, that is, if it is not sinking already. Be nice to yourself. LET IT GO!